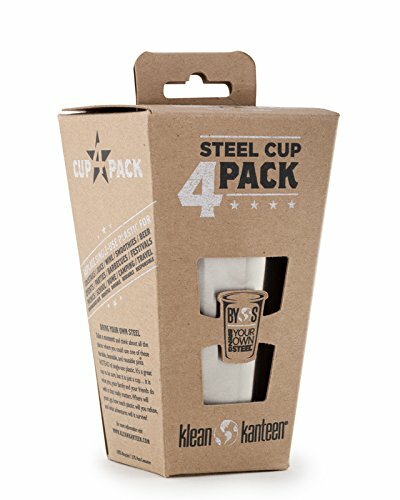 Whether it's water, iced coffee, juice, smoothies, milk or any other beverage, Kleen Kanteen's 16 oz Pint Cup is a multi-use cup for any occasion. Take it to your next concert, barbeque, beach trip, or just your own backyard. Throw a stack in your picnic basket, clip one on a backpack, or keep a few in your kitchen. The steel pint also loves to go camping, boating, or hiking deep into the backcountry. Ditch the plastic. The Pint Cup won't break like glass pints or fill the garbage can or landfill like the ubiquitous red cup. Dish washer safe and wont retain past flavors.Doesn't retain or impart flavors.